Have you seen my new wedding officiant video? We had a little fun with it. After so many years of being on many television shows my wife convinced me that I should have my own video I hope you like it. The short video above contains some stills taken at various weddings and of some of the celebrity weddings I’ve performed. But you don’t have to be a celebrity in order for me to marry you. 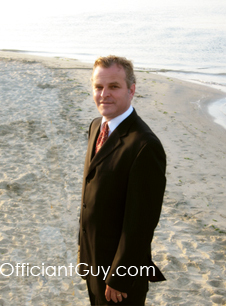 I can officiate any kind of wedding ceremony all over Southern California. I can issue your marriage license in Los Angeles County for an LA County marriage. And if you need an LA Wedding Officiant, then please consider me.